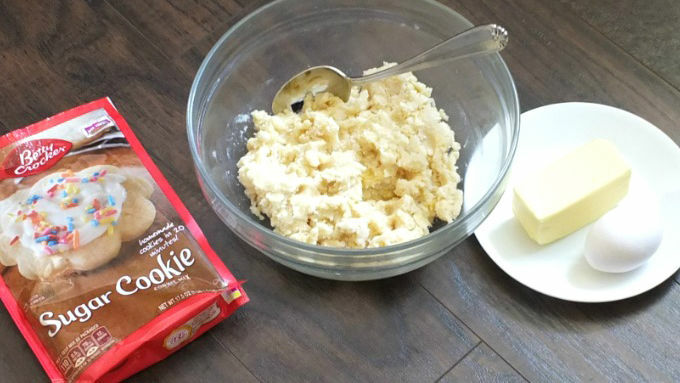 Preheat oven to 375° F. Prepare cookie dough according to package instructions. 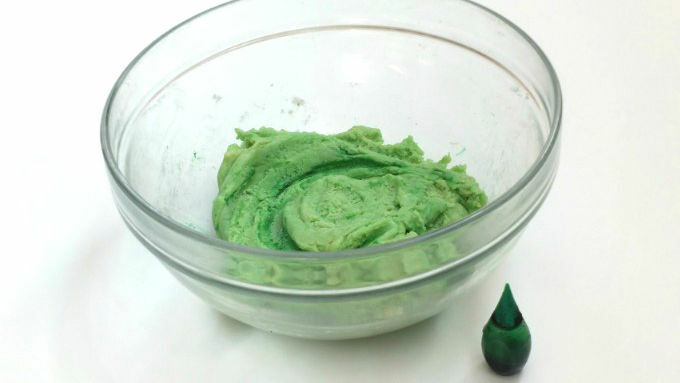 While mixing, add in a few drops of green food coloring until you reach your desired color. 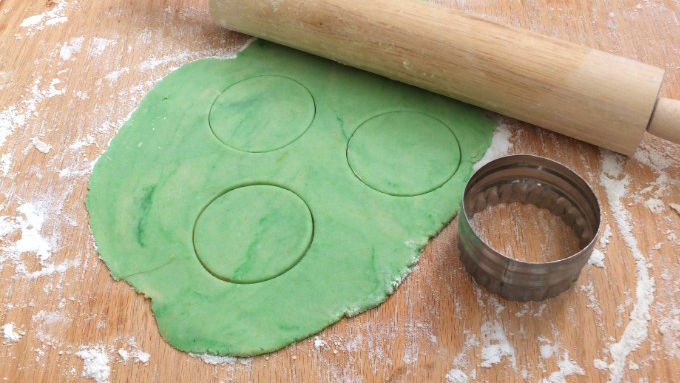 Roll out dough and cut out 24 circle shapes using a circle cookie cutter. Bake for 7-9 minutes. Let cool completely. 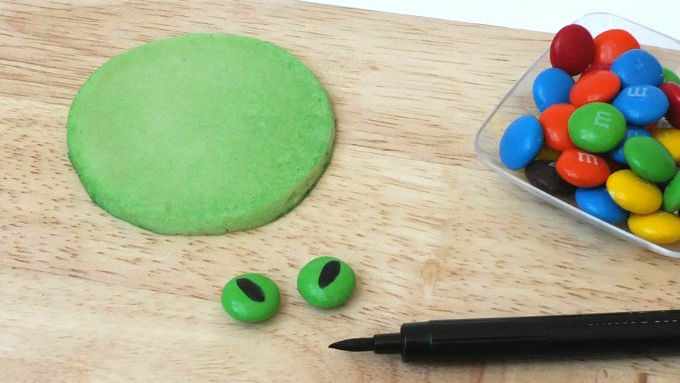 With the black edible marker, color in the middle of the M&M’S™ for the eyes. 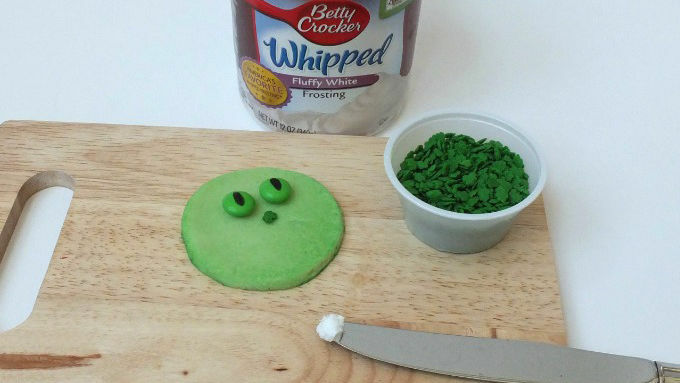 Using white frosting, attach 2 green M&M’S™ to the top of the cookie for the eyes and the shamrock sprinkle for the nose. 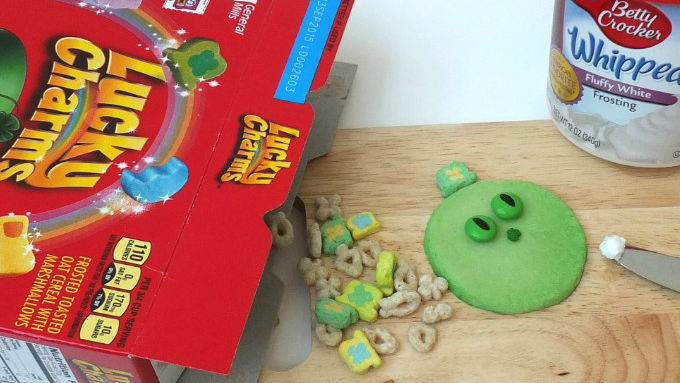 Attach the Lucky Charms™ marshmallow hat to the cookie with frosting. Cut small triangles from the green Fruit Roll-Up™ for ears. For the bow tie, cut a small rectangle out from the Fruit Roll-Up and twist in the middle for a bow tie shape. Attach ears and bow tie on the cookie with white frosting and draw in the mouth and whiskers with the black edible marker. These cat cookies are way cuter than shamrock cookies! What I love about these cookies is that you don’t have to have any fancy schmancy shaped shamrock cookie cutters or any decorating skills. 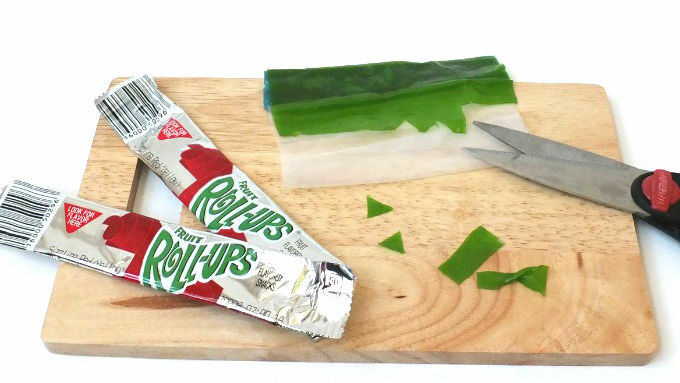 Just a plain old round cookie cutter (or use a drinking glass turned upside down to cut out the circle shapes – a little tip from my sweet mom), some green candy, Fruit Roll-Ups and cereal. Oh! And green food coloring. OF COURSE. 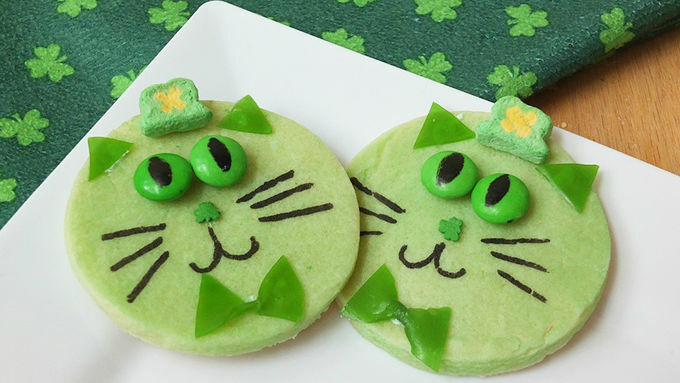 Bake, assemble and enjoy these cute cat cookies for St. Patrick's Day!